Since I started creations by Sally you may often hear me singing the praises of my hosting service. And just as often the response I hear back is, "I am very interested in a site, Sally, but no one is really answering my questions on how a person actually makes money if and when they sign up. All I want to do is upload my art or photography online. Can I profit from just that? Or is there more to it?" "Can you please help me by shedding a bit more light on how it all works?" If you are looking for a place to host your art, photography, writing or any service for that matter, you have a multitude of hosting services to choose from. And many of them appear to be cheaper than SBI. 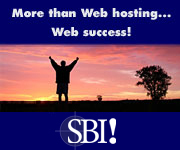 Yes you can certainly use SBI to upload your art, photography and writing. But the number one way to sell anything online is to attract traffic to the work you have posted. I too, have looked into many different ways of getting my work online. The problem I have seen with almost every service that allows you to place your art and photography on them is getting the right traffic to see your work. It has been my experience that there are so many artists and photographers selling online it is easy to get lost in the crowd. As a matter of fact the biggest complaint I hear from my friends is "How do you get traffic to your art?" Yes there is more to it than simply uploading and hoping for the best. Let me explain myself a little. No matter what your passion is people like to know they are dealing with a real person. This is called building trust. 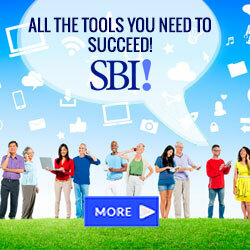 I recently got an email from a reader who was asking how SBI could work for him. He discribed himself as "a middle aged disabled man who happens to be an artist, photographer, and a writer". Right away when I saw that statement I wanted to know more. I would really enjoy reading the rest of his story, his triumphs and even the set backs. I would also love to see his work on all levels. So, for instance, as you upload your work you could tell the story behind that work. Each of your pages are then submitted to search engines to gain you the traffic that will help you sell your work. Let me tell you a little story about my traffic. Just a few months after I started my site, I had to leave the process to help with a family emergency. I had only built just a little over 30 pages and added Google Adsense to my site when I was called away. I only had access and time to do a periodic check of the site for about five months. My traffic when I left was just reaching 200 unique visitors a month. You can imagine my surprise when I returned home to find that my traffic had gone from 200 a month to 1200 unique visitors a month using no other type of promotion. Selling your art and photography on line is a business. And it is a business of the heart, something the world can always use a little more of. SBI takes care of all the back end issues that other sites forget to tell you about. Plus you will find a community of like minded owners in the forums who are there to help. So you are never alone. Question: Do you have to have 'X' amount of traffic in order to make money and if so how do you receive it?" Traffic represents the shoppers that enter your store if you had a shop on the corner. There is no set amount of traffic that will tell you how much money you can make really. Some have said that they convert an average of a sale for every 200 visitors to their site. I do know that if you follow the C T P M (which stands for Content, Traffic, PreSell, Monetize) process, SBI will get you the traffic. I have managed to create a respectable traffic base of 300+ unique visitors a day and climbing. From all I have read you can create a respectable income if you have 500 visitors a day. Oh, and another thing. You can use all that traffic to link to your other artwork you already have posted on line. Question: Was it a difficult process? This is a question that really depends on what you term as difficult. I would not call the process difficult but you will have to put in the effort to make it work. I love working at home in my sweats, and I have put in many hours some of which were not necessary but just because I love the process. When I first started my online business I knew absolutely nothing about building a website. If you could see the old version of my site this statement would make more of an impact on you:) But by following the forums and others examples I learned so much and now look forward to helping others have a shorter learning curve. SBI! makes online business success do-able. If I can do it, anyone can succeed with their all-in-one process, tools, and guidance. So You've Decided to Buy! "Okay I have decided and I am going to proceed. What is my next step?" Click on the picture on the left and you will be taken to a page where you will learn how to gain acess to the resources that are available to you. Click on the link at the top that says "skip down to order". Pick the order option that best suites you. 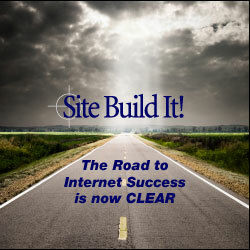 You can also read Solo Build It's money back guarantee here. After you order, you will receive instructions for using the "Action Guide". Solo Build It! 's uses a steady-and-sure approach that is affectionately known as "The Tortoise Way". It's definitely not GRQ (GetRichQuick) and keeps you from getting distracted by false promises or dead-end tools and strategies that end up costing more money. Experienced users will appreciate avoiding time-wasters that don't help you succeed. Think of it as a simple, direct, hype-free path that leads to success. One thing I will prepare you for. Solo Build It has, if anything, an over abundance of information. You will never use all that they offer. It is important to stay focused. If you happen to be someone who loves dipping in and sampling everything, like me, you may want to consider hiring a coach to help you stay focused in the beginning. Whether you decide to seek help or go it alone, don't let yourself get overwhelmed. Take it one step at a time. Follow the Action Guide steps going through each of the processes. You will have a high traffic site before you know it. Still have questions? You can even contact the Solo Build It staff and they will be happy to answer all of your questions.